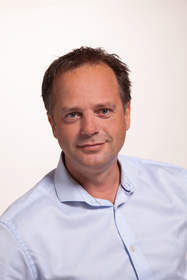 BOSTON, MA--(Marketwired - Aug 27, 2014) - OneView Commerce, the retail industry's first and only provider of a commerce-driven customer engagement platform that enables seamless, consistent omnichannel operations from web through point of sale, has named Henk-Jan van der Weide senior vice president of global sales. Making the announcement, OneView CEO Stuart Mitchell said, "Henk-Jan's successful track record and 20-plus years of business development and sales management experience in software and telecommunications will provide us with strategic sales leadership for taking advantage of tremendous market opportunities on a global scale. His expertise will help guide OneView's efforts as we focus on solving retailers' toughest challenges by coordinating their omnichannel efforts and forging a path of continued profitable growth and expansion for the company." Over the past seven years, van der Weide held several executive sales positions with hybris software's German, United Kingdom, Scandinavian and South African operations. When hybris, an SAP company, announced a strategic partnership with OneView in early 2014 to partner its commerce platform with OneView's in-store solutions, he became familiar with OneView's power to offer a complete in-store extension to the hybris platform. Given his expertise in retail and e-commerce, van der Weide saw significant global opportunity to capture market share as OneView became the first solution to merge the digital and physical experiences in store. Having started his career as an entrepreneur, van der Weide is especially tuned into fast-growing emerging global companies ripe with market opportunity. "I am quite fortunate to have the best kind of challenge ahead of me -- moving a successful company with abundant opportunity to even higher achievement," said van der Weide. "OneView is revolutionizing omnichannel retailing by converging digital and physical marketplaces into a seamless, customer-centric experience. The powerful metrics and return on investment that OneViiew has produced on projects worldwide has positioned the Company as a strong leader poised to dominate the next generation store systems market." Previous to hybris, van der Weide owned a company that sold and distributed a document management solution and sold the business via a MBO. Following that, he worked with young startups in the European region focusing his efforts on assisting these organizations to meet growth and expansion targets. OneView Commerce delivers the first commerce-driven customer engagement platform that merges the digital and physical store experiences from web through point of sale. OneView Commerce Store, our mobile commerce framework, provides associates with the ability to combine standard functions, such as mobile checkout, with end-to-end cross channel solutions that empower continuous engagement from web to store and vice versa. OneView delivers a single view of the end-to-end customer journey including order history, products purchased, wish lists, appointments and detailed information on pickups or returns, combined in one solution with all standard POS functionality. OneView immediately eliminates existing channel barriers between web and store that impact the customer journey across the brand and transforms in-store interactions into customer-centric engagement experiences where store associates are empowered to service continuously connected consumers at every turn. OneView is revolutionizing retail operations for key clients worldwide including E-Plus Gruppe, O'Reilly Auto Parts, Canadian Tire Corporation, J.R. Simplot and Discount Tire Corporation. www.oneviewcommerce.com, Twitter: @oneviewcommerce.